METHODIST GIRLS’ SCHOOL (MGS) celebrated 120 years of its founding on July 25, 2007 Dr Vivian Balakrishnan, Minister for Community Development, Youth and Sports and Second Minister for Information, Communication and the Arts, was the Guest-of-Honour at the Founder’s Day Service and Graduation Ceremony. In his address to the school, Dr Balakrishnan said that few schools in Singapore are as old as MGS or have as illustrious a history. He urged the girls to take advantage of the many opportunities before them and reach for the stars. 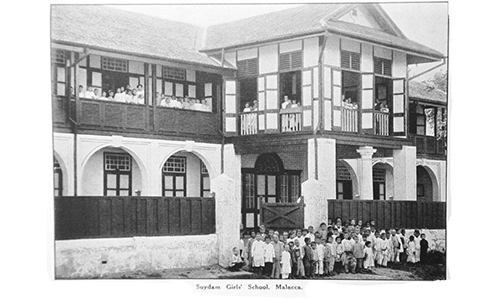 When Miss Sophia Blackmore founded the school in 1887, the girls in Singapore were not encouraged to attend school; today where there is equality of opportunities for all, there is no limit to realising one’s potential in school. 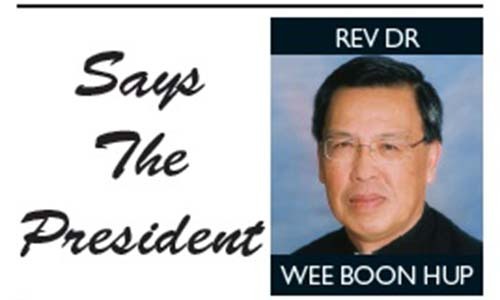 Dr Balakrishnan advised the school never to lose its identity, its heritage and its values. He encouraged the girls, especially the graduating class, to keep the ties that bind; the friends that they make in school are their friends for life. He thanked the many generations of principals, teachers and stakeholders of MGS for ensuring that the school is always an “august, noble institution” and continuing to nurture young ladies who will make a difference in Singapore and beyond. MGS presented him with a commemorative book, Our Heritage Our Treasure, which showcases the many artefacts that tell of the school’s heritage and the creative writing of the girls who have been inspired by some of the artefacts. Our Heritage Our Treasure is the first publication of its kind in MGS and could well be the herald of more exciting projects. 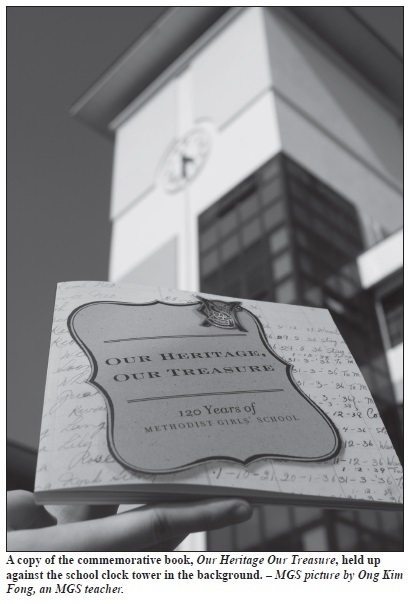 NOTE: Our Heritage Our Treasure is available at $15 each from Methodist Girls’ School, Blackmore Drive.